Boost your work productivity with dictation software that can beat your typing speed by five times! Not only can it convert voice to text, it can do a variety of other features and commands. Dictation software and voice to text mobile apps are so varied in their features and uses that we decided to rank our top three winners based on features we think are best for small business users. If our top winners are more feature rich than you need, be sure to see our other reviews to find more simple dictation software and apps or niche services that may suit your personal or business needs. Our winner, Nuance’s Dragon, is the industry leading dictation software and is the best transcription software you can find. Dragon’s intelligent speech recognition software continually adjusts for your accent, dialect and inflection to improve its accuracy. Dragon is compatible with more platforms and uses than any other dictation software — Microsoft Office Suite, Adobe Acrobat, web browsing, form filling, emailing, texting and more. And they offer a suite of products tailored for lawyers, medical professionals, businesses, teachers and personal use. This software isn’t cheap and may be too much if you’re looking for occasional simple dictation. But if your budget allows, Dragon delivers the best voice recognition software on the market. Windows-based Braina Pro wins our number two spot for the best voice to text software. Using sophisticated artificial intelligence, Braina is a completely automated speech recognition software that does much more than just transcribe voice to text (with user-reported 99% accuracy). The personal assistant feature is a huge plus — you can dictate reminders, notes, search your PC for files, music and videos, browse the web, and much more. You also can automate your mouse and keystrokes and create custom voice commands and replies. Braina offers a 7-day free trial, but it only includes the most basic features. Its license pricing is for use on one computer, but you can get a 50% discount on a second license. If you’re looking for a simple but accurate voice dictation tool for free, it’s hard to beat Speechlogger’s Speechnotes. Like LilySpeech, Speechnotes uses Google Chrome’s Web Speech API functionality, which is among the most accurate speech recognition programs available. One of Speechnotes’ best features is built-in automatic punctuation, which makes dictation go much faster. You must use Speechnotes in Chrome, but they also offer a free Android app that you can find on Google Play that has some excellent mobile features, including Bluetooth support. Below you’ll find an alphabetical listing other companies we’ve reviewed. Go Transcribe is a niche voice transcription software that lets you upload audio files into their cloud-based service for quick conversion to text. This software is an excellent option for meeting minutes, medical transcription and similar business uses. Once you’ve uploaded your audio file, Go Transcribe gives you your converted text within minutes. They have an easy-to-use online editor to make any necessary changes, and you can download your transcription to many formats, including Word and PDF. You can even set up workflows to allow your assistant to review the transcription. 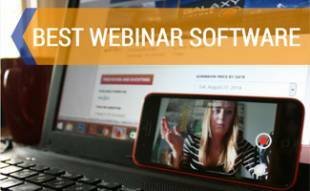 LilySpeech voice to text software is a great service but is no longer accepting new users. This Windows-based software is fairly bare bones compared to our top two picks, but it packs a reliable punch. LilySpeech uses Google Chrome’s powerful Web Speech API functionality and harnesses it into an easy-to-use interface controlled by LilySpeech’s software. The result is extremely accurate word recognition (in 24 languages) at an unbeatable price of $2.49 per month. You get a few helpful features to boost your productivity, including full-fledged canned answers that allow you to instantly access templated emails, form messages and more. The major downside for some users is that you can only use LilySpeech on a Windows-based PC (no mobile apps). LilySpeech offers a 30-day free trial. SmartAction is a speech recognition software in a league of its own, but we wanted to include it in our reviews in case your business can benefit from its powerful customer service automation. SmartAction is a centralized artificial intelligence engine that automates customer service across voice, SMS, text, chat, mobile, and social media. This software harnesses both voice and digital conversations and provides solutions for everything from appointment reminders, scheduling and account management to complex call center needs. SmartAction is popular with small and large businesses alike. Some of their noteworthy clients include Penske, AAA, Pizza Hut, Office Depot and more. Speech Recogniser by Anfasoft is a popular and reliable iOS app that can help you stay productive when you’re on the go. This app gives you the basics voice to text functionality, including texting, emailing, notes to yourself. But Speech Recogniser does more. You can post status updates on Facebook, tweet, copy your text to other apps, and even hear translations into more than 40 languages being read aloud to you. Speech Recogniser’s accuracy and ease of use beat out many free voice to text apps and is well worth its $10 price tag. The downside? This app won’t work without a WiFi connection. Voice Text by TalirApps is arguably the best speech to text app for iPhones. This app not only is easy to use, reliable and accurate, it also has some added features to boost your productivity and save you time. Features include voice-to-text transcriptions that you can quickly send as SMS, email, or paste them into any application using the clipboard. Also, you can copy and paste your text it to social networks like Facebook and Twitter. 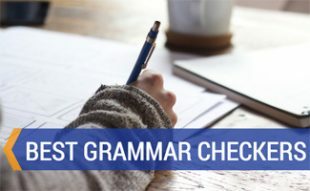 It also includes automatic correction for grammar and punctuation and gives you a convenient editing benefit that provides a list of suggested words. The downside to this app is that you must have a WiFi connection for it to work. Check out the video below to see how our number one pick, Dragon NaturallySpeaking 13, works. Why Type When You Can Talk? We hope our voice recognition software reviews have helped you choose the best solution for your individual or business needs. You’ll be amazed at how much these products can improve your workflow and let you get more done in less time. Why stop at dictation? There are more ways to stay productive including online collaboration tools and voice recognition software too. What other voice to text software or apps would you recommend? 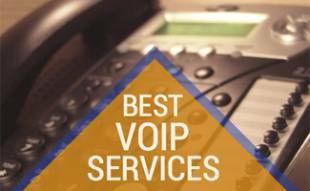 Best VoIP Service: Ooma vs Vonage vs Grasshopper vs RingCentral vs 8×8 vs Nextiva vs Unovon vs BasicTalk etc. 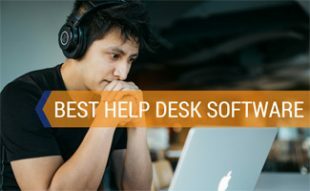 Best Help Desk Software: Zoho vs Zendesk vs FreshDesk vs SalesForce vs HappyFox & More! Thank you for bringing this to our attention. We will be sure to update the article. We hope to have the updates live in the middle of October. Thanks again! Nuance is definitely of the most comprehensive options IMO and my go to choice, glad you guys agree. The Dragon mobile app works great as well. For those that don’t need all the bells and whistles like desktop or browser commands, you could just dictate into iOS Notes, which syncs to your computer, and then copy and paste the text over into wherever you’re typing. I often use Siri to type notes when I’m on the go but she isn’t the most accurate at times, definitely could be worth paying for given the amount of time I spend going back to fix Siri’s errors.